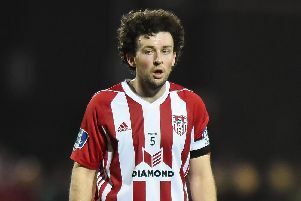 DERRY CITY’S Darren Cole was ‘gutted’ his late wonder strike didn’t prove to be the winner in Waterford. 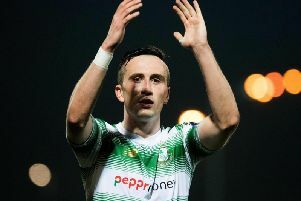 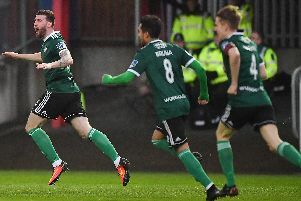 AARON McEneff has hit out at ‘disrespectful comments’ directed at him from a minority of Derry City fans during Friday night’s clash with Shamrock Rovers at the Ryan McBride Brandywell Stadium. 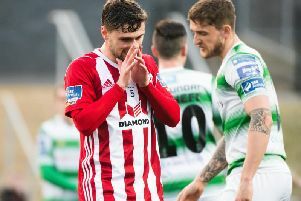 A spirited Derry City side suffered their third defeat of the season, as Shamrock Rovers secured a hard fought 1-0 win, at the Brandywell. 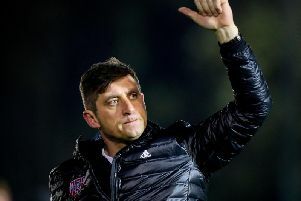 DECLAN DEVINE says he's proud of how Derry City Football Club and its supporters represented the city in such a positive light on Friday night following the tragic events of the past 24 hours. 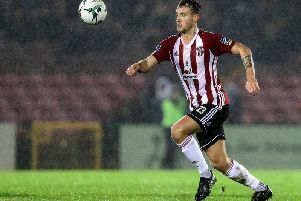 ALLY Gilchrist claims Derry City will be determined to right some wrongs when they meet league leaders, Shamrock Rovers at Brandywell on Friday night. 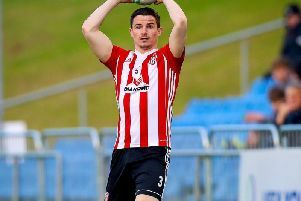 St Patrick's Athletic defender Simon Madden believes his old club Derry City have a great chance of having a successful campaign this season. 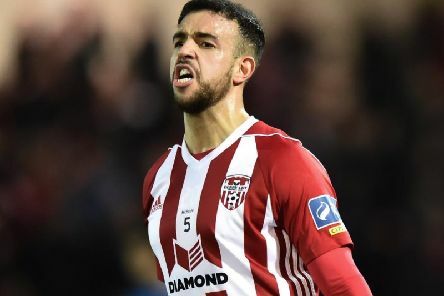 PATRICK McClean reckons the rest of the league will start to take notice of Derry City after their impressive victory over St Patrick's Athletic on Monday night. 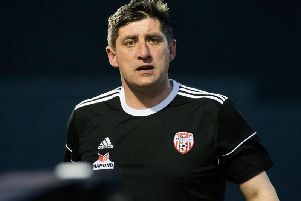 DECLAN Devine reckons Derry City's first half display against St Patrick's Athletic on Monday night was the best he's seen from the Candy Stripes in quite some time. 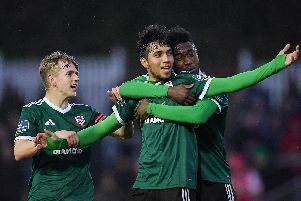 Derry City produced a superb first half display to easily see off ten man St Patrick's Athletic, at Richmond Park, last night. 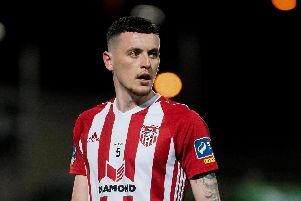 IT WAS an ‘emotional’ return to the UCD Bowl for Derry City midfielder, Greg Sloggett on Friday night and a polished display from a player who continues to display a maturity beyond his 22 years. 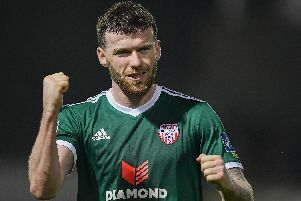 Derry City are on their travels again this evening, when they take on St Patrick's Athletic, at Richmond Park. 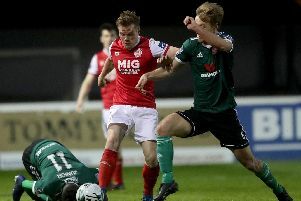 FINN HARPS defender, Colm Deasy has been hit with an additional four match suspension for his horrific tackle on Derry City's Ciaran Coll in the North West derby last week. 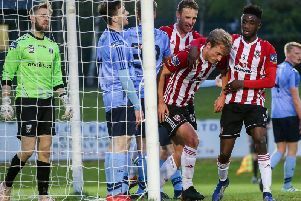 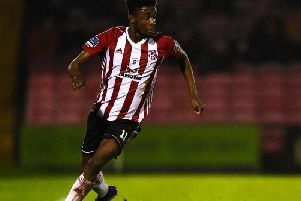 Derry City produced a professional display to deservedly beat UCD. 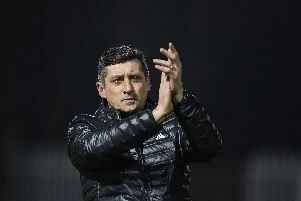 DECLAN DEVINE was delighted to mark his 100th game in charge of Derry City with the club's first win in Dublin in three attempts this season. 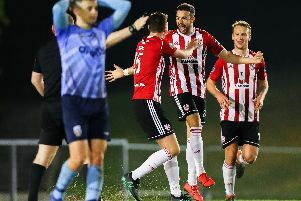 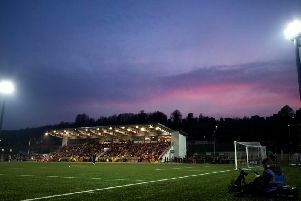 Check out our live blog for the latest from the UCD Bowl as Derry City continue their SSE Airtricity League Premier Division campaign tonight against UCD.